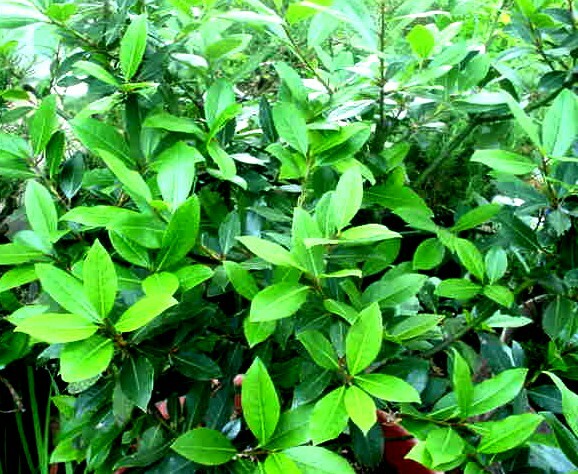 Fresh Bay Leaf, not a high-volume item, but a big attraction -when no one else had it! The March newsletter announcing my move to the Bellevue Farmers Market this season said, “Fifteen years is long enough to do anything.” But that was less a real reason than a faint consolation for the wrenching decision to leave so many colleagues, customers and friends. Yes, Findlay Market’s rents increased, drastically. But after fifteen years of rent increases [amounting to 2000%], my thoughts were more of what I could have done with that money to build my business, improve my products, and further heal my land. Those of us who began growing to sell in the early 90’s were definitely swimming against the current. Owing largely to our own efforts, that is no longer so. Along with nationwide awareness of the value of local food and increasingly (gratifyingly!) 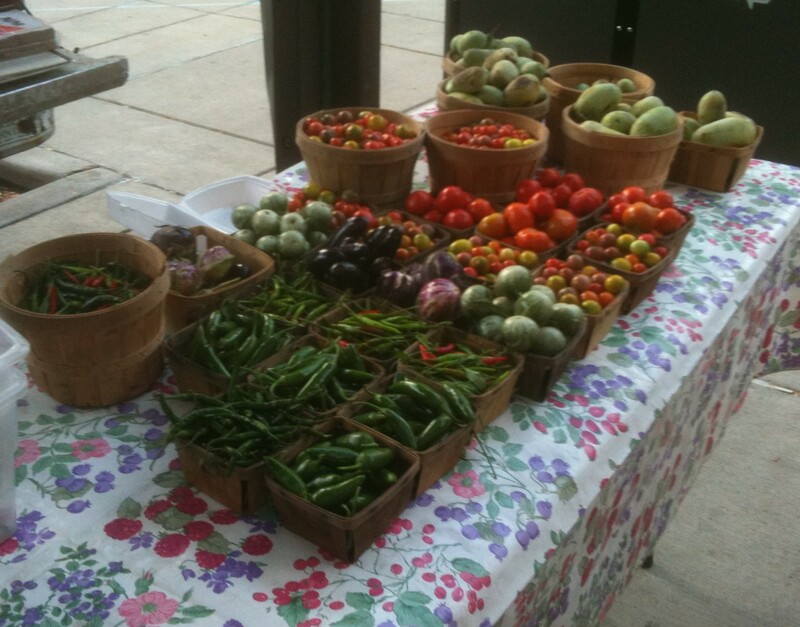 knowledgeable customers, came a proliferation of community Farmers Markets. We felt besieged by the many different Markets bidding for us to come there and sell. This paralleled rent increases at Findlay. Farmers with diverse, quality products began choosing markets with lower rents. These markets, swimming with the current, defined their vendor mix, with an emphasis on food. With higher rents, CFFM had to accept rent from any vendor who wished to set up. We heard, “Where’s the food? All I see is plants!” Those of us who (by breaking our necks all Winter) managed to have vegetables in early Spring, supplemented with our surplus plants, lost trade, as not only farmers but customers found other options. When the economy declined, sales of non-food plants, predictably, did too. That vendor, with limited garden space, diversified with herb plants. 3 or 4 of us had carried (and built a market for) herb plants for ten years or more. But now we were settling for a smaller share of the same, or dwindling demand. Amid multiple other examples, Findlay’s management consistently refused to consider adopting a vendor mix. Why not? To meet their high administrative costs, they can’t afford to turn away a vendor. Any vendor. We, the farmers, on our own initiative, built Spring, Fall and Winter markets. We sowed kale in August, radishes in November, set parsnips in September, garlic in October, heated high tunnels, covered bok choy, lettuce and spinach thru December and January and broke ground in February, to extend our seasons and our offerings. Early Spring crops take up space and weigh light. (A recycled grape box, packed full, holds 3 lb of lettuce – maybe $18 in sales.) We scramble to fill a truck in April. 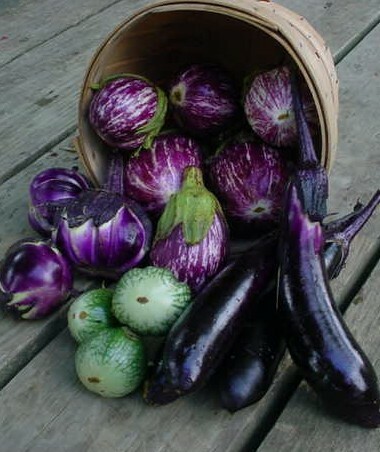 Fall crops are risky and nowhere near as lucrative as those of High Summer. Out here in the dirt, the notion of a 9-month “peak season” is ludicrous. But Findlay’s management defines “peak” by when they can sell the most space. So, as a direct result of our commitment to a full season, we’ve been penalized not only with higher rent, but with increased competition. Growers whose Markets do not open until Summer are willing to pay Findlay’s rents until they do, and when they have peak produce, depart for cheaper rents elsewhere, then return to Findlay when those close, to profit from custom that they did not stay around to build. How not to build a Market: force established, committed sellers to perpetually diversify, take risks, seek new products, work harder, in full expectation that the only payoff will be others jumping on our bandwagon. After 15 years, it’s going to be nice to swim with the current for a change! In a later post, I’ll talk about CFFM’s recent contention that “customer traffic” at Market has increased. Thanks for your kind attention! * Quote from Findlay Market staff, 2007, announcing that we would be required to attend on Sundays. « What Do You Do with It?